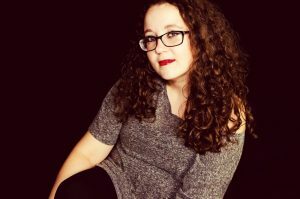 Welcome, Bridget Nash, to BOD’s author spotlight. I have to say I am thrilled to be interviewing you for your debut book, Players. Thank you! This is so exciting for me. I found BOD while I was writing Players and it’s just really cool to be here as an author now. In reading your bio on Amazon I see you’ve always loved writing, and that you worked in journalism. Do you prefer writing fiction or non-fiction more? I definitely prefer writing fiction. I like making up the things that happen and taking things in the direction I choose. Even when it seems to me that my characters take over and write the story for me, I made those characters. They are mine. I might have a complex…ha ha! But, that’s not to say journalism isn’t interesting. Writing about events as they happen, being the person that tells thousands of people what went down, that can be pretty cool too. In journalism, though, I have to quote people verbatim, and in fiction I can tweak what’s in quotation marks until I feel that what the character said precisely conveys what needed to be said. I like that. I was intrigued by the concept of your story. Can you tell me where the idea came from? Players came from several different places in my head. I think the first ideas came from my love of the stage. Stage acting is such a specific talent. Screen actors can’t always do stage acting, but stage actors can almost always do screen acting. Even more than stage acting, I love the world of traveling players and that’s something that is basically extinct. Sure there are theatre groups, like Missoula Children’s Theatre from Montana, that travel and put on plays. But it’s not the same things as traveling players from Shakespeare’s era. Those Elizabethan traveling players lived their craft, and the idea of them traveling down dusty roads in wagons filled with props, rehearsing wherever they stopped, that creates this air of mystery around them that I love. So, Players started from a little idea of wanting to write a story about traveling players. You’ve created an interesting utopian society within your book. Why did you choose to put your story right in the middle of this perfect world? Like I said, I wanted to write a story about traveling players. Every time I tried to put my dark little group of actors in a setting, I wasn’t happy with it. The most obvious route would have been to write a period piece, but I scratched that idea right away because I wanted to bring the magic of traveling performers out of the dust-covered past. I played around the idea of having them in a huge, modern city, like New York City but I couldn’t seem to make that work out in my mind. So, I created a future society that mimics what we know today, where traveling players are no longer a thing of the past. I created a society where entertainers are outcasts but entertainment itself is an important distraction. And I use the theme of the stage to parallel the careful stage that is a utopian society. Things aren’t always what they seem. All the world’s a stage. 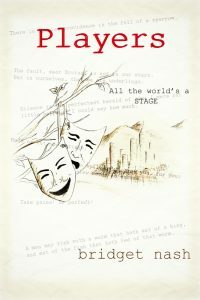 Your story follows a group of actors and writers who travel through the country putting on plays for small communities. Do you have any training in theatre? I only ask because you nailed several superstitions and ideas only those within the theatre world would understand. I’m chuckling a little because my theatre training is limited to my involvement in Speech and Drama in high school. That is where I realized how peculiar a talent stage acting is. For those who were never involved in competitive speech, I’ll tell you that it’s not about standing up and giving speeches, although you do learn about that in Speech class. Competitive speech is acting. It’s very dramatic. You perform monologues or duets and I was really good at it. Well, except for the times I decided on my pieces on the way to the speech meet. Those times I was laughable. But when I applied myself, I was good at competitive speech and I loved it. I won awards. However, when it came to the drama part of Speech and Drama, it seemed like a completely different planet. Put me on a stage to do a monologue and I nail it. Ask me to act in an entire play? Choke. My motions were awkward, my dialogue unbelievable. I couldn’t do it. Because stage acting is a magic I don’t possess, but I love it nonetheless. So, to actually answer your question, my knowledge of the theatre comes from limited experience, appreciation, and research. When the story ended, I was left wanting more. Do you have an expected release date for any follow up book? When the story ended, I was left wanting more, too! I fully expected to write a standalone novel with a slightly ambiguous ending. I had planned to end with closure but one slight question. That question is, “Are all players liars?” However, when I got near the end, the story had already kept going beyond that in my mind. By the time I wrote the end, I already knew what was going to happen next. I have started the sequel. I’d love to finish it this year. I think if more people express that they want to know what happens next, the more I’ll be motivated to get it finished. But it is in progress. Do you identify with a particular character in your story? If so, who and why. The protagonist, Ryan, and I share one particular quality and that is second guessing decisions. It’s not an admirable quality in the least. But I tend to mull things over until I’ve driven myself half mad and still have no answer. Actually, I’m way worse than Ryan. But he lacks confidence in his own decisions and so do I. There is a major puzzle within the story that Ryan, the main protagonist, has to figure out. Do you enjoy puzzles? In theory, yes. In reality, I give up too easily. I always think I find hidden messages and meanings in things but when it comes to actually figuring out if I’m right…I’ll do it later. Your other book, The Cabin, appears to be quite a different type of story, a mystery/thriller. Which type of story was more difficult to write? Players was definitely more difficult to write. Players was also a lot more brainstorming than writing. The world of Players is much bigger in my mind than it is in the book. I know a ridiculous amount more about the society of UniState than is portrayed in the book. That’s a definite positive about getting to write a sequel. I’ll get to introduce more of what’s going on backstage in that society. For The Cabin, all I had to do was create a unique way to put someone in a survival situation. I didn’t have to build an entire world. Thank you so much for allowing me to interview you. I can’t wait for all of our BOD family to read your fantastic book, Players. Bridget Nash lives in northwest Oklahoma where she was a newspaper journalist who received several Associated Press/Oklahoma Press Association awards for both writing and photography. She has a small portrait photography business and now stays home with her daughter, contributing to the news world on a freelance basis. Players is Bridget’s first completed novel since she was in eighth grade, but she swears if she ever finds that eighth-grade manuscript, she’ll burn it. Ever since she could hold a pencil, she has enjoyed writing as a recreational activity. As a child and a teen she could often be found outdoors with a notebook and pen, listening to the birds and the wind while making up her own worlds on paper. When she isn’t writing or taking photographs, Bridget enjoys reading and watching sitcoms simultaneously. Her favorite sitcoms are Frasier, Friends and I Love Lucy. Her favorite books are Frankenstein, Jane Eyre and A Ring of Endless Light. She hates putting away laundry and doesn’t know much about cooking, but she likes to make her own kombucha and experiment with growing edible things like tomatoes, strawberries, and pumpkins. She much prefers cold weather over warm and loves rain and snow, even though she prefers going barefoot over wearing shoes. Bridget lives in a very small Oklahoma town with a population of about 400, along with her husband; a daughter; two dogs, Trevor and Penny; a border collie who doesn’t think dog rules apply to him, Taban; a cat named Taylor Swift; and a fancy rat named Sheldon. There are also black widows by the water meter but she doesn’t name them and prefers not to think about them.